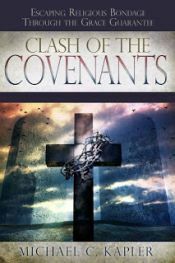 If we try to make an Old Covenant prayer relevant for us today, it results in all kinds of different and varied interpretations on how it should be applied to our lives. In spite of the repetition with The Lord’s Prayer, very few people can assert with much confidence what it is they are praying about. As we begin to understand the context of why it was given to Jesus’ disciples to pray before the cross and not after, we’ll realize why there was never any instruction to pray this prayer from the apostles who wrote epistles in the New Testament… not once. 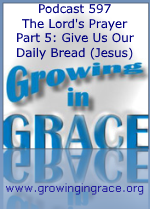 This week, on the subject of our daily bread, we’ll cross-reference John Chapter 6, where Jesus identified Himself as the living bread that came from heaven to do God’s will. What specifically was the bread that would give life to the world? Jesus said it was his flesh (body). Bread that would be broken through His suffering, but would rise when made new, and we were raised with Him. In a new and better covenant, there is no longer the need to ask for what God has given (Jesus, His Son).